It’s that time again… I love putting together random “Noteworthy” posts and it has been awhile, so here we go! 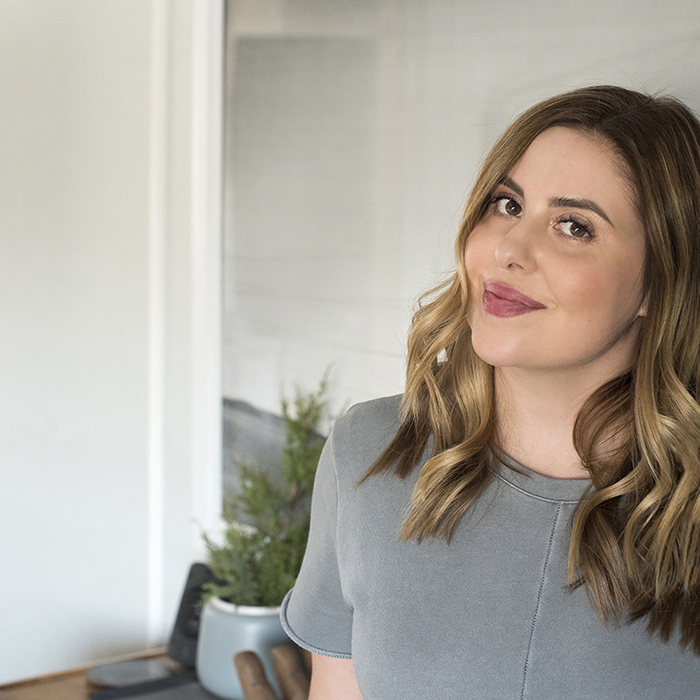 Click through to see what’s going on, what has inspired me lately, take a trip to the salon with me, and hear about the latest in terms of our renovation. Happy Friday friends! My new favorite Netflix series, Grace and Frankie, is back! The set design is stunning, but I love the humor so much. If you need a new show, please watch it. There are 5 seasons to keep you entertained. I wish I could binge through the new season this weekend, but we’ve got a bathroom to renovate (and we’re currently behind). Speaking of… we thought buying a “newer” home would be easier in terms of renovating, but we’re finding out every home has challenges. We might not be dealing with asbestos or materials associated with age, but unlevel surfaces, improper ventilation, and walls that aren’t square seem to be an issue with most homes. Womp womp. I wish we could just tile over it and start with the fun cosmetic projects (I want to tile NOW! ), but it’s just not in our nature to leave things as is if they’re incorrect. We’re addressing everything and doing it by the book, per usual. Unfortunately, I’m not a very patient person. It’s something I need to work on. Obviously I don’t have kids, but if I did, I’d want their rooms to look like this. I basically pinned all of these (follow along here, if you’re not already). There are so many inspiring spaces that any child would be lucky to grow up in! Before we bought this house, Emmett said this was a must. This will happen in our basement eventually (he was not open to negotiation)… leading into his “man space” / glorified office. It’s funny because that’s what he calls it, but in actuality it just holds boxes of his accounting paperwork (his real job is accounting) and ski gear. Ha! This is NOT sponsored, but I wanted to share our nightly routine because it has been really nice. After a day of work (doing our real jobs), Emmett and I spend the evening working on renovations and house projects. Once we clean up for the evening, we’ve been making a point to cook, sit down, and eat dinner together. To make things quick and simple, we have HelloFresh delivered- our favorite meal delivery subscription, and trust me when I say we’ve tried them all. The recipes have been really awesome as of lately! Anyway, I love the convenience and incentive to cook rather than ordering carryout or eating junk. I decided to try something similar for the dogs because Cash has terrible allergies. We’re giving The Farmer’s Dog a try to see if it helps… I’ll report back once they’ve been eating it longer, but it’s a similar concept. Fresh, prepared food is delivered and the dogs now have their own meal subscription service. Is that ridiculous? Yes, I know- they’re spoiled. Anything for those two though. I want happy and healthy fur babies. Earlier in the week, I shared behind the scenes from my hair appointment on Instagram. The salon I go to is such a beautiful space and I received lots of messages about it. I figured maybe I should pop some photos throughout this post, in case some of you don’t follow on Insta, so that’s where all of the images are from. From the mustard colored lockers in the intro to the gorgeous wallpapered mural, vintage mirrors, and washed brick, it’s really a dreamy and well-designed salon. I also found a new shampoo and conditioner I’m obsessed with… and this leave in conditioning spray is helping my dry winter hair. In other beauty-related news, one of the most asked questions I get on Instagram is what lipstick am I wearing. Anytime I have lipstick on, it’s always the same one. It feels like chapstick and is super moisturizing, so I’m always reaching for it. It’s a nice berry neutral that looks good on anyone. Shade 501! If you try it, let me know what you think. For more of my beauty and skincare routine, check out this post. I needed one more mattress for our guest room. My family is coming to visit in March, including my grandmother (the lady I get my creativity from), which is a really big deal for me. I bought this memory foam mattress. It has AMAZING reviews and you can’t beat the price. I tried it and it’s actually very nice. I’m pleasantly surprised and would highly recommend. We’ve had two sets of guests sleep on it so far and they also gave it rave reviews. So- if you’re in need of a mattress, I wanted to share. I’ll let you know what my g-ma says. I came across this article expecting to find lots of lighting inspiration selected by talented designers and didn’t like a single one. Most of them felt too modern for my taste and had a “been there, done that” vibe to me. Maybe I’m just out of the loop or moving in a less trendy direction? I think I’m ok with that! I always say, stick to what you like, anyway. What are your thoughts? My last three purchases? This vanity mirror (for the guest bath), foundation (which I only buy once a year because it lasts forever), and another pair of my favorite jeans (use code YESPLEASE for 40% off right now)! They’re the most comfortable jeans I own, so I wanted another pair. What is everyone up to this weekend? We’ll be working on the guest bath, which is a-ok with me… I live for home progress! Hopefully we can start tiling sooner rather than later. I hope everyone has an amazing weekend! See you next week with lots of things I’m excited about. Happy Friday to you! That’s a great question and a constant battle. I have to reel Emmett in, or he’d fix every. single. tiny. thing. He just can’t let it go! I’d say we fix 90% of things… definitely the big & important stuff (to code), some things that influence installing new materials correctly (like an unlevel wall before new tile goes in, etc), and then I pick my cosmetic battles. To move a light fixture, exhaust vent, replace millwork that isn’t that bad, etc. That’s all determined by aesthetic and time. that salon looks so amazing!!! we just moved and i will need to find a new salon soon- such a scary thing! love that you found one that is clearly fab! I love the links in this post! Happy to hear that Bridget :) Have a great weekend!